• Jim and Layne Hunley, Bill and Marilyn Kinkade and Vicki Olberding will be among those opening their homes to show their Christmas spirit during the upcoming Christmas Homes Tour. Find out more about what you’ll see in their homes and how to participate in the tour. • The annual Community Thanksgiving Dinner is this Thursday at Holton’s EUM Family Life Center. More food items and volunteers are needed to make it a success; find out how you can participate or help. • The purchase of two new motor graders was approved recently by the Jackson County Commission. • Mayetta resident Lance Bailey has entered a plea in the Oct. 3 shooting incident in which a Mayetta girl was wounded. 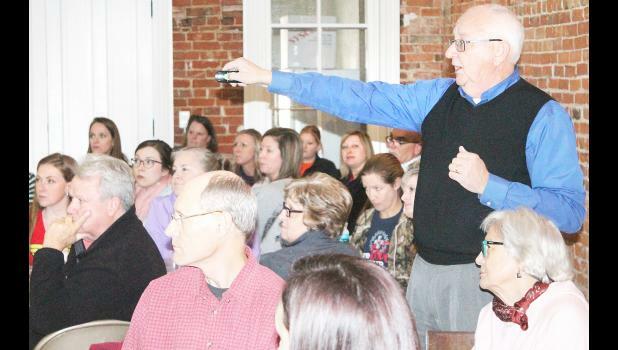 • Area health professionals and others participated in a Thursday town hall meeting to get information ready for an updated community health needs assessment for Jackson County. Find out about the meeting, as well as when the updated assessment will be ready. Also, this edition of The Recorder features the Winter Shopper’s Guide. Log in to your holtonrecorder.net account to find out more.